Gross v. Switzerland: The applicant requesting a right to die was already dead! 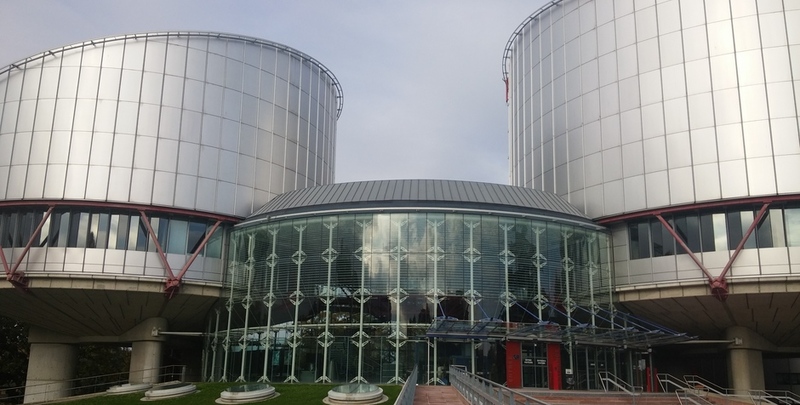 On 30 September 2014, the Grand Chamber of the European Court of Human Rights (ECHR), by nine votes against eight, declared inadmissible the case Gross v. Switzerland on the grounds of abuse of right of petition (article 35 § 3 a) of the Convention). This is an important case, as it was supposed to be a new step towards the recognition of a right to assisted suicide and euthanasia after the Court’s judgments in Pretty v. United Kingdom (No. 2346/02 of 29th April 2002), Haas v. Switzerland (No. 31322/07 of 20th January 2011) and Koch v. Germany (No. 497/09 of 19th July 2012). In the latest, the Court progressively elaborated “an individual’s right to decide by what means and at what point his or her life will end, provided he or she is capable of freely reaching a decision on this question and acting in consequence” (Haas § 51). Fortunately, the case-law of the Court was not further developed in this sense, thus it remaining the same as it was established in Koch v. Germany judgment. The difference between the previous cases and the present one was the fact that the applicant, an elderly woman, who wished to end her life with the support of the state, having access to a lethal dose of a drug in order to commit an assisted suicide, was not suffering for a clinical illness. She was healthy. Therefore, the case was actually about the right to decide to end one’s life with the assistance of the state. The ECLJ has been authorized by the Court to intervene in the case as third party (amicus curiae) and has submitted a brief to the Second Section. The ECLJ has also recently published a detailed report on “The right to assisted suicide in the case law of the ECHR” in the International Journal of Human Rights. Previously, the Second Section of the Court, in a highly controversial ruling reached by only four votes against three, decided on 14th May 2013 that Switzerland violated the private life of the woman, founding that the national law was not clear enough for the applicant to know whether she can have access to the lethal drug. Fortunately, this ruling is no longer making case-law on the matter. On the 7 October 2013, the case was referred to the Grand Chamber upon the request of the Swiss Government. While preparing its new observations, the Government discovered that on the 24 October 2011 the applicant received a prescription for the lethal drug and that on the 10 November 2011 she ended her life. She was dead one year and a half before the judgment of the Second Section. From the facts of the case, we find that the applicant’s lawyer did not know those essential aspects of the case. He affirmed that he accepted to keep the contact with his client through her confident who volunteers for the assisted suicide association EXIT. The applicant herself asked specifically her confident not to inform her lawyer about the prescription and her subsequent death, as she strongly wanted her case to “open the way for other persons in her situation”. But the Grand Chamber was not dumb. In its judgment, it concluded that the applicant abused her right to petition to the Court, sanctioning severely her behavior. It could have stoke out the case (article 37 § 1 c) - it is no longer justified to continue the examination of the case), as the dissenting judges would have wished, maybe to hide the reality behind such cases, but it didn’t. Thus, the Court sent a clear and strong message, which it is not quite often seen in its judgments on societal issues: one cannot instrumentalize the Court to advance the rights of others, as they are understood by certain lobbies. To arrive to this conclusion, the Court pointed out a problem in the acceptance of the lawyer of the applicant not to directly communicate with his client, as he was expected not to present deceiving information to the Court. Further, the Court noted that the applicant herself deliberately omitted to inform her lawyer, and implicitly the Court, on her prescription. Moreover, the Court observed that she also took all the necessary safeguards to hide her death, as she wanted to prevent any interruption of the procedure before the Court. Finally, the Court concluded that by those facts the applicant deliberately induced in error her lawyer and the Court on issues related to the core of her complaint at the Court. Drafting a concurring opinion, judge Silvis would have preferred the Grand Chamber to “suppose” that the applicant deliberately induced the Court in error and not “to establish with enough certainty” that she did, as on his opinion, the reasons for this conclusions were rather subjective than objectives. The dissenting judges (Spielmann, Ziemele, Berro-Lefèvre, Zupancic, Hajiyev, Tsotsoria, Sicilianos and Keller) interpreted the facts of the case differently. They considered that the required threshold to conclude to an abuse of right to petition was not reached. None of the behaviors (applicant’s, her lawyer’s or her pastor’s) denoted an intention to induce the Court in error. Moreover, they considered that such a reason for declaring the application inadmissible stigmatizes the remembrance of the applicant and sends the message that the present case wasted the Court’s time. Or, according to their opinion, the issue of the assisted suicide is a frequent issue in Europe, especially in Switzerland, which can generate many applications to the Court. Therefore, it would have deserved to be examined by the Grand Chamber. In fact, one can appreciate that it is regrettable that the case was not judged by the Grand Chamber, as it could have reconsider the so called right to choose the moment and the way in which one can end his life, right which was already elaborated in the previous Chamber judgments. ECLJ hopes that the Grand Chamber will be addressed with new such cases, as such “right” cannot be affirmed in Chamber judgments. On important matters, it is to the Grand Chamber to pronounce a judgment. Maybe Lambert and others v. France case will give this opportunity to the Grand Chamber. As this case is pending before the Fifth Section, the Court may decide to refer it to the Grand Chamber, given the particular circumstances of this case, the novelty of the legal questions, the significant attention of the media that it enjoys and the desire of the Court to examine it with priority. A favorable Grand Chamber judgment to preserve the life of Vincent Lambert has the advantage of being final. On the contrary, a Grand Chamber judgment in favor of those who want to see him dead, cannot be further contested by the parties and could be immediately executed. On a general basis, ECLJ considers that this case shows the way the Court is used by certain applicants to advance the rights of others. The Court is not used for purposes of justice, but for political ones, in order to change the national norms. It is because the Court acquired this political supranational role that the applicant lied in the present case.